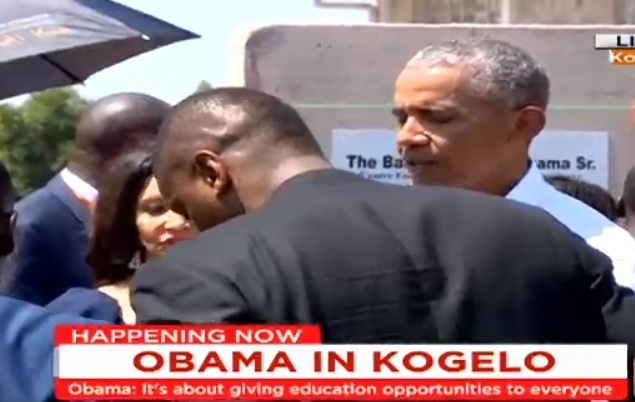 Former US President Barrack Obama is in Kogelo village to launch the Sauti Kuu Foundation. Yesterday, he met president Uhuru Kenyatta for a private meeting at the State House in Nairobi. Barack Obama began by narrating his story and how he visited his family for the first time at the age of 27 years. Three years ago Barack Obama visited Kenya as an American sitting president. In his speech he said that unlike three years ago, today he is coming to Kenya as a brother not as a president of America. Barack Obama said that he did not visit Kogelo three years ago because his plane could not fit on the tarmac in the village. Musician Eric Wainaina performed at the opening ceremony for Sauti Kuu Foundation. The Master of Ceremony (MC) Felix Odour (Jalango) did a terrific job in running the show. The actual unveiling of Sauti Kuu Foundation was attended by just a few people who had been selected prior to the day. As expected, Members of the 4th Estate were allowed to cover the unveiling event. 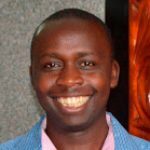 There were both local and foreign journalists standing behind their cameras ready to make an ostentatious front-piece of the Sauti Kuu Foundation event. This afternoon, Barack Obama is expected to leave Kenya for South Africa where he will address a event organized in honor of the late Nelson Mandela (former president of South Africa and an anti-apartheid hero).